The International Language Extended Day Program (Elementary) operated by the York Catholic District School Board gives children a valuable opportunity to learn another language and culture. The Board has recognized the importance of educational experiences involving International Languages since the early 1980’s. 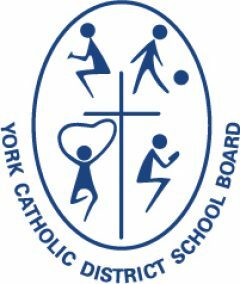 Currently, York Catholic students have the opportunity to attend twenty-one different school sites where the Italian Language is taught and offered during the school day. The school day is lengthened by 20 minutes to accommodate the International Language Extended Day Program. The Italian Language program is not intended for students of Italian descent only. It is tailored to all students through differentiated instruction. Studies in the field of language education have proven that students who study additional languages display higher academic performance and have increased career options and opportunities available to them because of the additional communication skills obtained. In addition, educational research has shown that learning an international language facilitates the learning of both the English language and other languages, provides cultural enrichment to schools and helps to develop an appreciation for diversity and intercultural understanding. The International Language Extended Day Program (Elementary) is offered through the Board’s Continuing Education Department. Information about the Italian Program offered on the Extended Day basis is available by calling the Catholic Education Centre, at: (416) 221-5051 Ext. 13633.